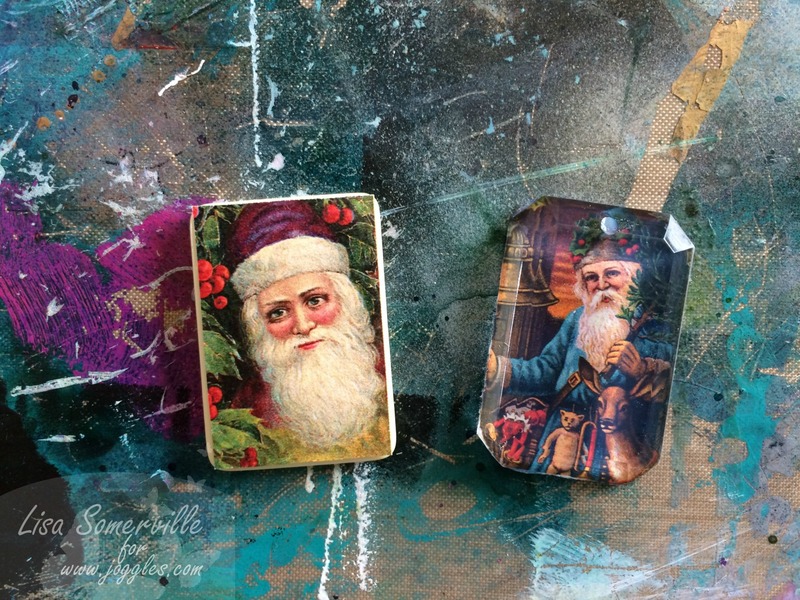 It's my turn to share on the Joggles Blog this week, and I've whipped up some Christmas Ornaments using some of the fabulous Joggles Collage Sheets along with Joggles Artist Trading Blocks. To further embellish the ATB's I used the GelPress Plate along with Joggles Stencils. For a complete supply list and step by step directions, please see the Joggles Blog. I used dies from Our Daily Bread Designs to die cut and layer the Collage Images on the ATB's. 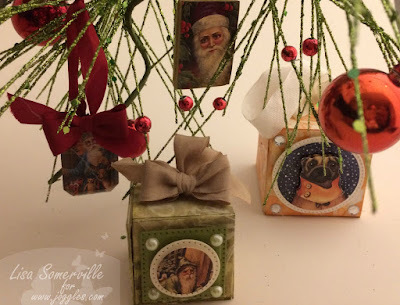 Here's a closer look at the ornaments I created with the Collage Sheets using Game Pieces and Fragments. WOW! Love how you made these, adorable!